Samsung Galaxy S9 and Samsung Galaxy S9+ were released back in March. They are undoubtedly considered some of the best smartphones of 2018. They offer top of the line specifications, spectacular design, and stellar build quality. At launch, the devices were available in Coral Blue, Lilac Purple, and Midnight Black variants. Later Samsung announced two new color options—Burgundy Red and Sunrise Gold. The first one launched for South Korea and China, while the second one became available for several international markets including most recently India. 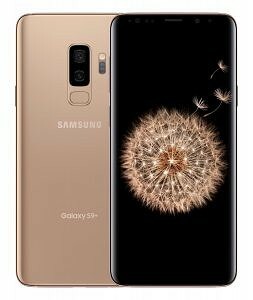 Samsung promised that “additional market availability” was coming soon and they’re following through on that promise by selling the Sunrise Gold Samsung Galaxy S9 and Galaxy S9+ in the United States starting today. Here are the specifications of the phones. As the Samsung Galaxy S9 and S9+ are somewhat similar devices, I put them into one table but highlighted the differences with italics. 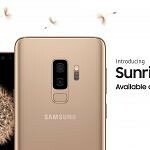 Will you be getting the new Sunrise Gold color, or do you already own the Samsung Galaxy S9 or S9+? Let us know in the comments.